Will You Share a Picture of Your Pet? 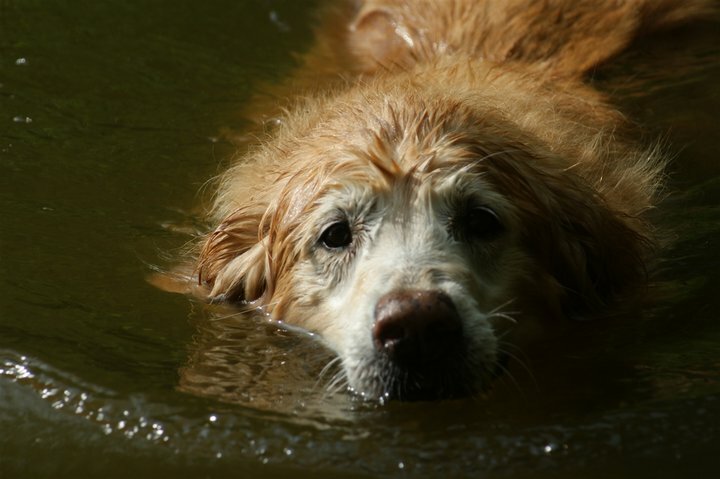 Here's Dr. B's 14 year old Golden loving the water! In case you missed it, yesterday Dr. Bolynn shared a picture of her dog enjoying the water. He’s 14 years old (that’s a senior pet! ), but he’s still a puppy at heart and can’t get enough swim time! 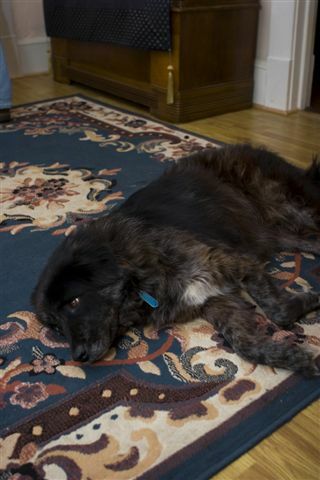 1) Go to our page at http://www.facebook.com/tncanimalhospital?v=photos. If you haven’t ‘liked’ us, you’ll have to click ‘like’ in order to share. 3) When that picture comes up, select “See All Photos” (just above photo). 4) Select “Add Photos” (near the top of the page). 5) Select either “Add from My Photos” or “Upload Photos” and follow the instructions. We told you it was complicated – but we think your pet is worth it. AND — if you can’t figure it out, email us the picture at Admin AT tncvet.com, and we’ll upload your picture for you! Can’t wait to see your pet on Facebook! Unfortunately, the one time that pet owners have trouble imagining what their pets are thinking or feeling is when they’re in pain. Dogs and cats naturally conceal pain because their instincts tell them that showing any weakness is dangerous for their survival. So your first clue that your cat suffers from feline cardiomyapathy, the most common feline heart disease, could be when your vet detects a heart murmur, or a sudden paralysis of a hindlimb. Subtle symptoms like a reduced appetite or shortness of breath are easy to overlook or attribute to simply having a senior pet. Unexplained weight loss, lameness without injury or an older dog that’s not thriving are all symptoms that could point to cancer. Early intervention can make your pet more comfortable and greatly improve his odds of overcoming cancer as well as other diseases. When owners observe a marked change in their pet’s behavior, it’s wise to consider what the underlying cause is. Make notes of these changes to discuss with your veterinarian. What you may think is insignificant may be the missing link to the diagnostic puzzle. Pet owners need to be detectives of sorts -and masters of observation. Whenever you question something a little different or new to your pet, it’s a good idea to bring her in for a consultation here at Town N Country Animal Hospital. Your observation combined with our experience will best promote your pet’s good health and well being. 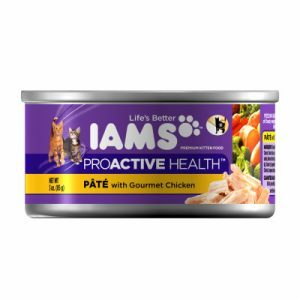 Important notice for cat owners: Procter & Gamble Company has recalled specific lots of Iams canned cat food. The affected Iams canned cat food is Iams ProActive Health canned Cat and Kitten Food, all varieties of 3 ounce and 5.5 ounce cans, with “09/2011” and “06/2012” date stamps on the bottom of the can. The date stamps are found on the first line of the two lines stamped on the bottom of the can. All cans of this food marked with these two date stamps should be discarded. This is a voluntary recall as a precautionary measure. Diagnostic testing indicated that the product may contain insufficient levels of thiamine (Vitamin B1), which is essential for cats. Cats that were fed these canned products as their only food are at greater risk for developing signs of thiamine deficiency. Clinical signs of thiamine deficiency would be limited primarily to cases where pet owners have been feeding only canned cat food. Common symptoms may include anorexia, excessive salivation, generalized weakness, ataxia, ventriflexion (head and neck excessively curving under the body), tremors and seizures. Pet owners can call P&G toll-free at 877-340-8826 for further information. It’s happening. Your pet is getting old. The dog that has loyally stood by your side for years is beginning to grey in her muzzle and is moving a bit slower when she stands up from a lying position. Or your formerly fearless cat seems to be downright jumpy around strangers lately. What’s normal? How do you care for your old friend to ensure that he ages gracefully and comfortably? What are causes for concern? What can you expect, and at what point should you consult the vet? How old is a senior pet? Generally speaking, a dog or cat would be considered “senior” at age 7. We’ve all heard about dog years…and cat years, but a pet’s life expectancy depends on its breed and size. Yes, there are poodles that live to be 20 years old – and cats living to be in their teens are not uncommon. A baseline exam can determine if your dog or cat is considered senior. At Town N Country, we can assess your pet’s health and projected expectancy and advise you about breed specific age-related care. What is a Geriatric Exam? More expansive than a standard physical check-up, an exam for a senior pet includes oral and rectal exams, an examination of eyes, ears and thyroid glands, a complete blood count, urinalysis and any other lab tests we might deem necessary for your pet’s specific needs. Is it time yet? We recommend a twice yearly geriatric exam in order to vigilantly identify and treat any potential problems in the early stages. We’ll recommend the best diet, exercise program and any required medications for your senior pet. Growing old together. Our aging pets face many of the same ailments that we do as we age. They may suffer from aching joints, a loss of sight, hearing or sense of smell, and a general lack of energy. Many of these problems may be alleviated or prevented by maintaining a healthy body weight. As our pets are less active, they burn fewer calories and may tend to put on weight. We’ll suggest a customized treatment plan for your older pet’s wellbeing. And you can join in the fun of the Biggest Loser contest! At Town N Country, many of us have aging pets ourselves. We understand how much your aging pet means to your family. Dr. King has a special interest in senior care, and helping pets live more comfortably later in life. 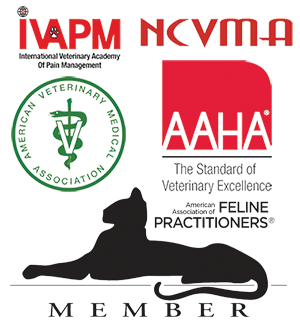 Call us today and allow us to develop a plan for your pet’s continued good health and happiness.